It is our belief that life should be celebrated and our goal is to create lasting memorials that can be treasured by your loved one’s family and friends for years to come. 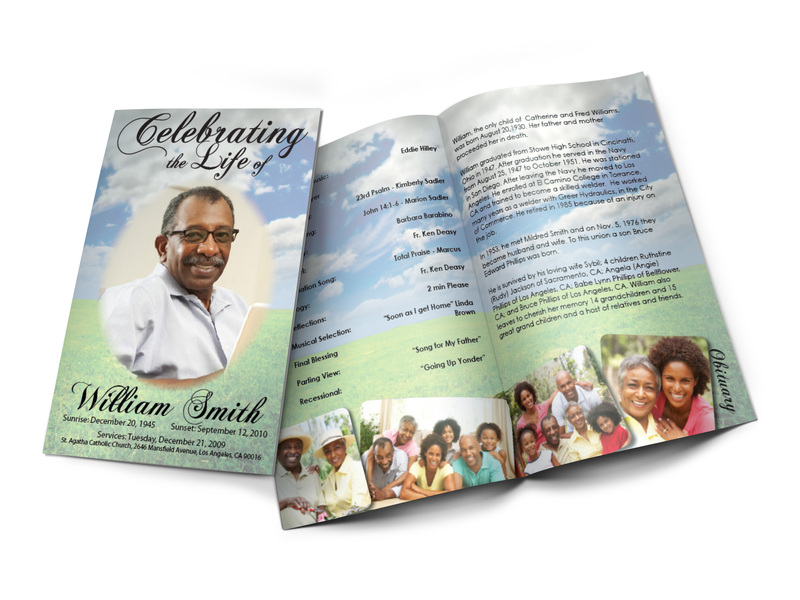 We know that we can help make this memorial special with our funeral program printing. 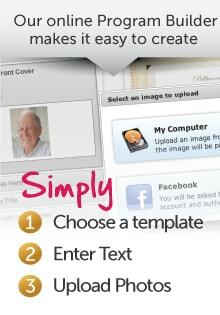 We have helped families produce hundreds of funeral programs for their services. If you need further help, please pick up the phone and call us. What we can guarantee is that we will print and ship your funeral programs to you the next business day after we receive them. The passing of a loved one is not always expected. 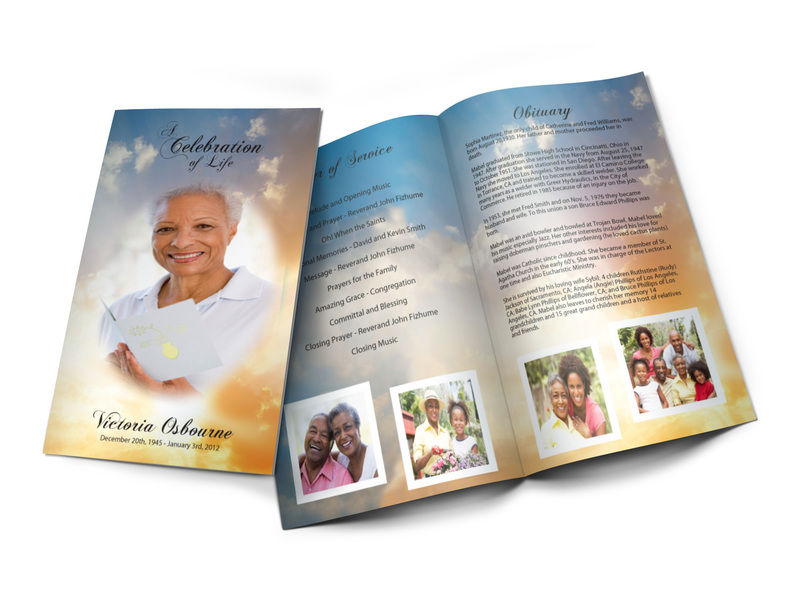 We know that it is crucial that your funeral programs are printed and shipped to arrive in a timely manner. You can count on us to deliver your funeral programs with creativity and elegance funeral that will serve as a tribute to the life heart and legacy of your loved one. You can count on our help during this time. When you hold your completed funeral program in your hands, you will be glad you made it. If you are thinking of using this company, do not hesitate! We had 8 page funeral programs made for my father's funeral. Our programs turned out beautiful! We even needed special attention due to adding pages, etc. and Aaron was so gracious and patient with me! Amazing customer service, fabulous product, super fast turn around and affordable!!! They took all the worry away at such a hard time for our family. Life Heart and Legacy went above and beyond to help me with my order. The funeral program that I put together with their website turned out great. Our family received so many positive comments on it. The customer service that was afforded to me was just plain great. I'm looking forward to using other products as they are developed. Thanks Life Heart and Legacy! I recommend anyone that wants a quality product with a personal touch to use your services!! Thanks so much to Life Heart and Legacy for going above and beyond to ensure delivery of 150 funeral programs for my great uncle's funeral services less than twenty-four hours after we placed our order. This is exactly the type of service our family needed and we can't thank you enough for your extraordinary efforts. At Life Heart and Legacy, we believe a funeral or memorial program should showcase distinctive qualities of the Loved One you want to Celebrate. For this reason we built and continue to build a variety of beautiful templates for you to customize for your loved one. We specialize in printing and delivering quickly, but we also allow you to design and download a template for printing as well. 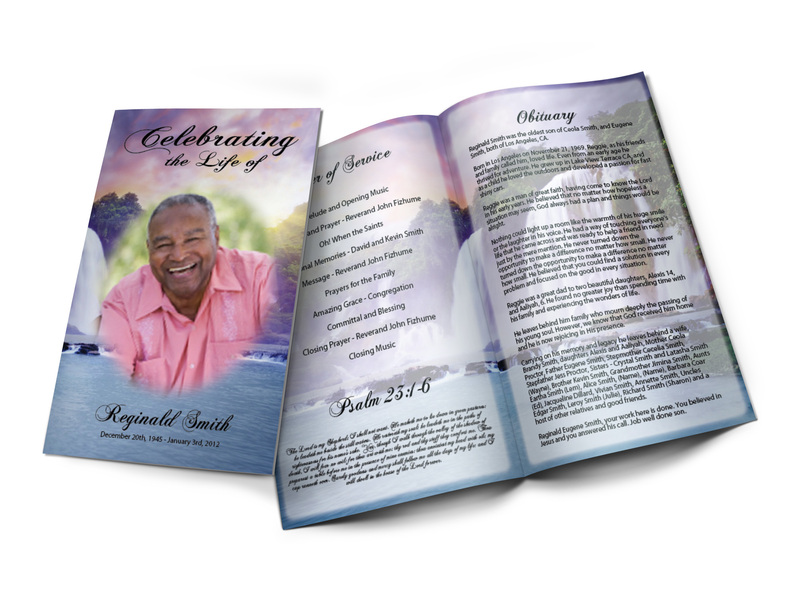 Life Heart and Legacy was created for the purpose of providing an easy to way to design and print your memorial program. We want to help you during this time. Our goal is to assist you by provide fast and efficient service while providing a quality product. 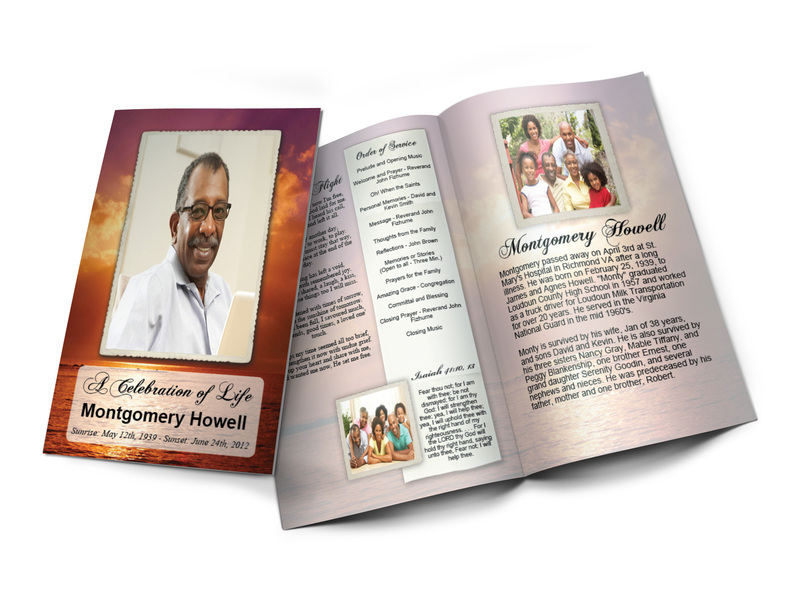 We provide memorial program templates that you can design yourself, or if it makes it easier we can design your program for you. Please let us know if there is anything that we can do to help make this as easy as possible for you.